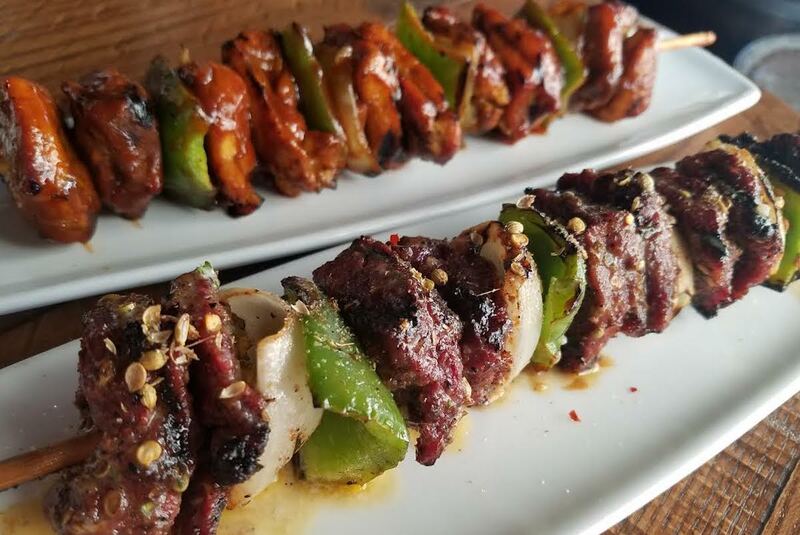 Peli Peli will be serving up steak and chicken foot-long kebabs at their Kirby Ice House pop-up Saturday. Photo courtesy of Peli Peli. When the city hits peak July temperatures, it’s tempting to go full home-body, venturing out only when necessary. Luckily, many of the city’s restaurants are offering lots of incentives to get out and enjoy unique food and experiences. Here are the Houston-area restaurants keeping it fresh by adding new dishes, dinners and special events this week. Reserve 101, 1201 Caroline: There’s more than one reason to escape the heat and sip on whiskey this Tuesday at Reserve 101; this week’s tasting is all for a good cause. The bar will host a Woodford Reserve Tasting of Bourbon, Double Oak & Rye Tuesday, July 11th from 6:30-9:30 p.m., and all proceeds from each $20 ticket benefits the Rescued Pets Movement. Reserve tickets online here. Southern Goods’ Heritage Hog Program features heritage breed pigs from local Yonder Way Farm. Photo by JD and Amy Woodward. Southern Goods, 632 W 19th: Proponents of local and sustainably sourced meats have a new way to taste pork via Southern Goods’ new Heritage Hog Program. Once a week the restaurant will receive a whole pasture-raised pig from Yonder Way Farm in Fayetteville, TX. Different breeds of heritage pigs—including Mangalitsa crosses, Red Wattle, and Old Spots, among others—will be served in a variety of ways as chefs utilize each part from snout to tail. 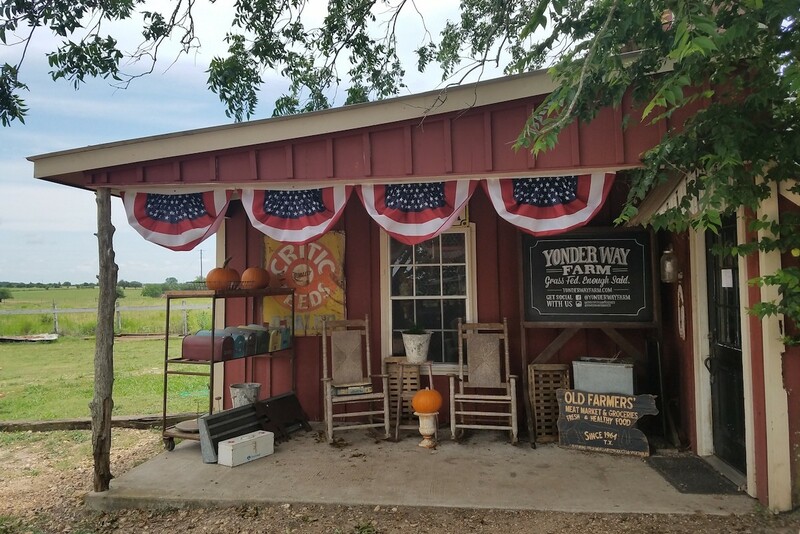 For more information on current menu items using Yonder Way pork, visit the Southern Goods website. Rainbow Lodge, 2011 Ella Boulevard: French wine and a special pairing dinner is the perfect way to celebrate Bastille Day at Rainbow Lodge on Wednesday, July 12 from 5:30 to 7:30 p.m. The three-course dinner will feature wine from Liberation de Paris winery, owned by Houstonians Jean-Francois and Nathalie Bonneté, and created by two Burgundian winemakers. Call 713-861-8666 to reserve seats; tickets start at $35 per person through July 11, and increase to $40 on the day of the event. Prices include wine, food, tax and service. UPDATE: This event was cancelled. Please contact Radio Milano for future events info. Radio Milano, 800 Sorella Court: Plenty of Houstonians celebrate National Tequila Month with margaritas, but those looking for a more in-depth education of the agave-based spirit should check out the tequila pairing dinner at Milano Bar on Thursday, July 13. Starting at 7 p.m., Mezcalero Collin De Laval will guide diners through a three-course distiller’s tour in addition to a Cabo-inspired, three-course dinner prepared by Executive Chef Jose Hernandez. Priced at $75 per person, the dinner will be limited to 20 guests. Call 713-827-3545 for reservations. Please RSVP by Tuesday, July 11th. Cadillac Bar, 1802 Shepherd: The second annual Viva el Tequila Festival takes place this Friday, July 14 from 7 to 10 p.m. Guests can expect an array of tequila brands and beverage samples in addition to live music, Mexican beer and tacos from the bar’s Taco Me Crazy food truck. General tickets ($40) include tequila, signature cocktail and beer samples, a taco and vendor giveaways. Tickets can be purchased on-site the day of the event or at the Cadillac Bar website. Eddie V’s Sparkling Sounds summer specials include oyster trios like these with watermelon, lime and mint. Photo courtesy of Eddie V’s. Eddie V’s Prime Seafood, two locations: The sound of summer tastes like sparkling wine, recalls the Jazz Age, and celebrates oysters at seafood classic Eddie V’s. Through July, the restaurant hosts nightly specials as part of its Sparkling Sounds bubbly summer event. 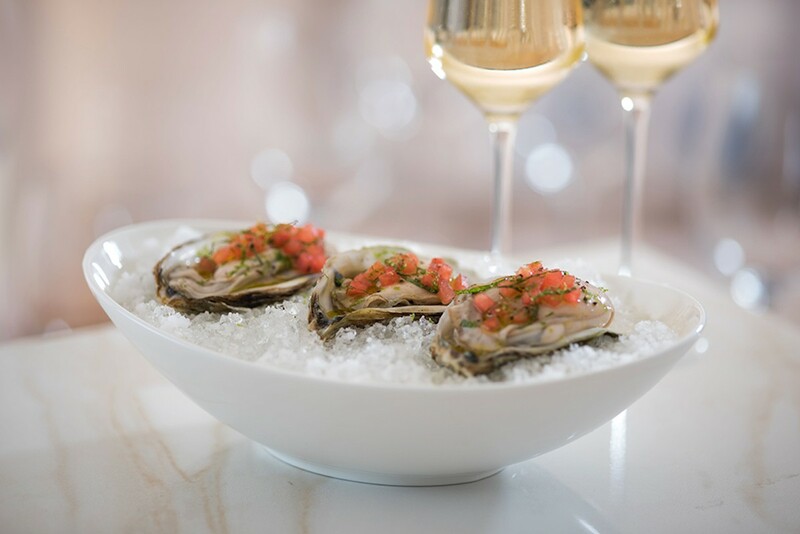 Champagne and sparkling wine pairings on various themes start at $12, and oyster trios, including Citrus Pearl Oysters featuring grapefruit pearls, Tito’s Handmade Vodka and micro green, start at $8. This week’s American Standards playlist includes modern artists’ takes on classic songs. Find more information on the website. Le Bistro at the Culinary Institute LeNôtre, 7070 Allensby: There are few places better to experience the joie de vivre of Bastille Day than a French bistro, and the restaurant inside Culinary Institute LeNôtre is no exception. In honor of the holiday on Friday, July 14, live music, dancing and buffet-style fare will be on offer for $55 per person, starting at 6:30 p.m. Singing Duo Deborah Boily and Jerry Atwood entertain as guests enjoy specialties like duck rillettes, beef bourguignon, opera cake and a fine cheese selection. Reserve seats at the website here. Kirby Ice House, 3333 Eastside: This Saturday there’s plenty to celebrate at Kirby Ice House. The one-acre beer haven will kick off its summer party starting at 2 p.m. by debuting two never-before-tapped beers this Saturday, July 15: Pub Crawl Pale Ale with Blackberries and Mosaic Hops, and Art Car IPA with Local Peaches and Mandarina Hops. Grilled burgers and hot dogs will be available to eat while a live DJ and outside games provide entertainment. At 4 p.m., the Peli Peli Galleria & Peli Peli Kitchen host a pop-up, serving steak and chicken foot-long kebabs along with fried mac n’ cheese balls. For more information, head to the Facebook page.